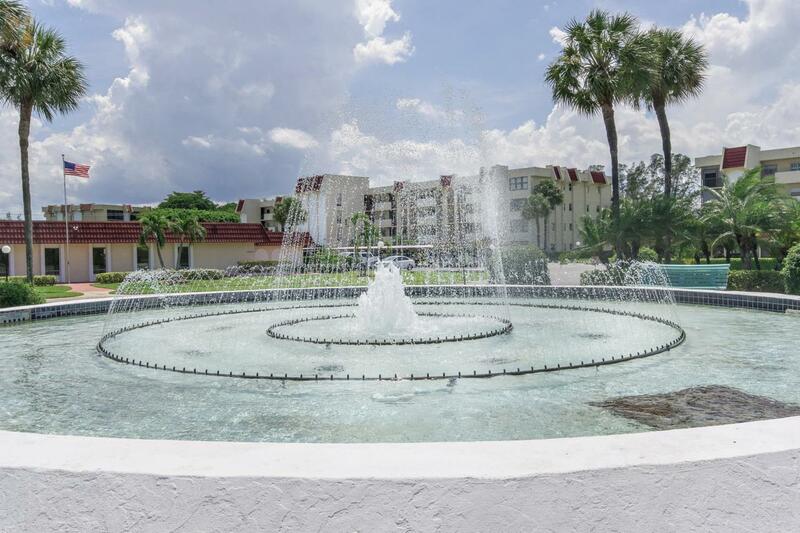 Great value for this spacious 2/2 first floor condo in popular Boca Barwood! Quick closing available! Convenient and easy entry across from covered carport. Well maintained unit, tiled floors throughout, screened patio overlooks golf course beyond. Eat in kitchen, maple wood cabinets and two extra built in pantries, tiled back splash, cooktop stove, updated appliances. Washer and dryer off patio with extra storage closet and another storage off elevator. Accordion hurricane shutters on front windows, Wrol up shutters across back patio. Enjoy meeting your neighbors at the pool, clubhouse and social activities. Close to shopping, bus routes, all major commutes. COME HOME TO BOCA BARWOOD!